Merry Christmas from our family! Instead of sending out Christmas letters with our cards this year, we are posting our Christmas letter right here! So read on to find out what the five of us have been up to in 2011. 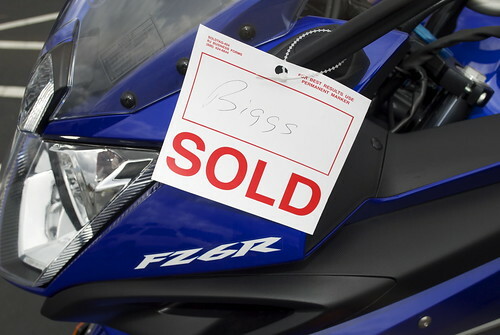 After a short dirt bike ride down the runway at Valerie's parents' house in Missouri, followed by a seven month obsession about motorcycles, David became the proud owner of a Yamaha FZ6R in March. 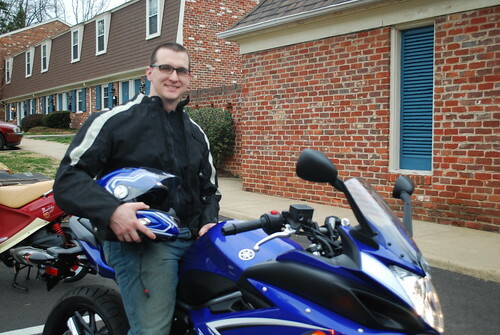 It is a very eye-catching motorcycle and David looks good riding it. 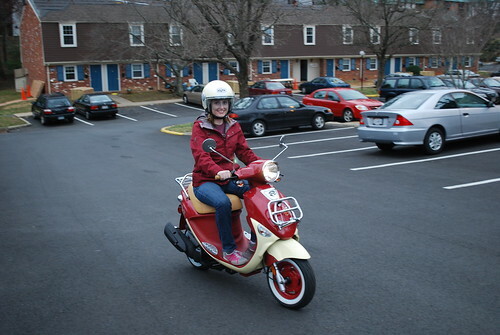 Not to be outdone, Valerie got a scooter - a Genuine Scooter Company Buddy International. She thinks it's a very cute scooter and she tries to make sure all of her scooter-riding accessories adequately match. In April, Wilbur turned 6. He's still as feisty as ever, although he likes to sit on laps much more than he did in his younger days. He enjoys being an only-pet most of the time, living in Maryland with David, although we are all pretty sure that he likes it when Steve and Kat come to visit and the family is back together again. 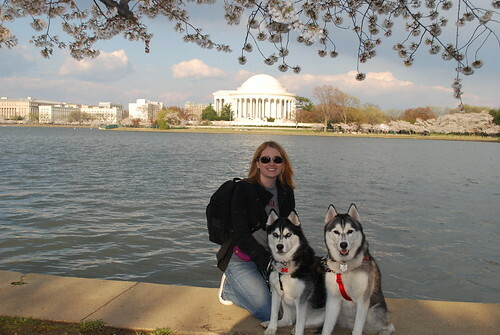 We took a day-trip up to Washington DC this spring to see the famous cherry blossoms in full bloom. It was a windy, rainy day, but we were lucky to get about an hour of nice weather at the end of the day to see the blossoms. In May, Valerie finished her first year of law school at the University of Virginia. It was a year full of adjustments but she really likes law school and is happy to have the stress of the first year behind her. She is serving this year as the president of the law and technology society, on the managing board of the Virginia Journal of Law and Technology, and on a committee for UVA Law's Student Bar Association. After Valerie finished school, we got down to business of having a lot of fun and adventures this summer. We kicked things off with canoeing on the James River over Memorial Day weekend. 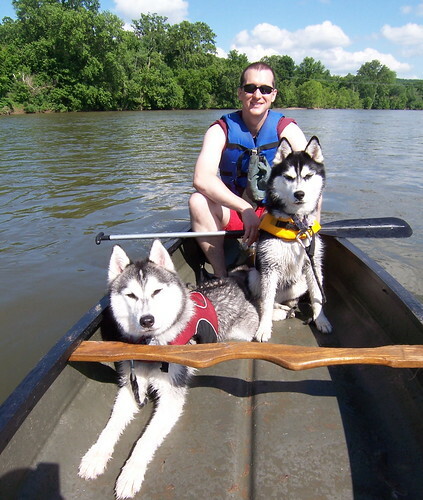 It was David, Steve, and Kat's first time canoeing. We weren't quite sure how Steve and Kat would handle the canoe, but it went really well. No capsizing and lots of fun. 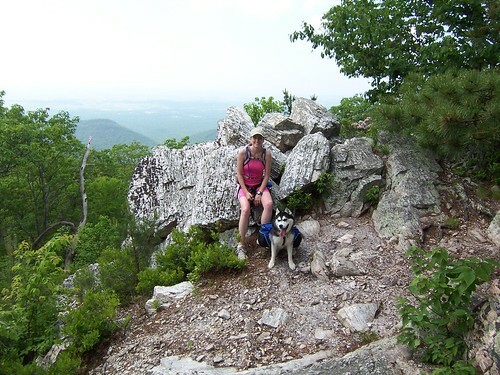 We are really fortunate to live near the Shenendoah National Park, which has a ton of dog-friendly hiking trails. We went hiking several times this year. 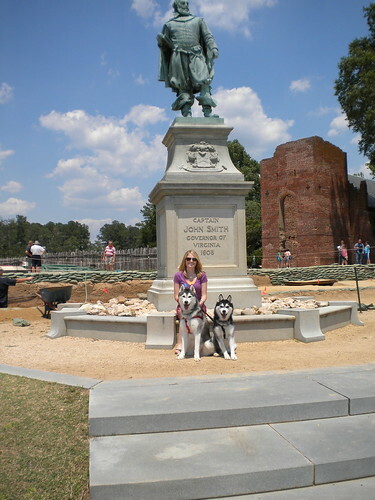 Over July 4th weekend, we took a trip to visit the Jamestown Settlement, Kittyhawk, NC, and the Outer Banks. It was the first time any of our family had been to North Carolina. We enjoyed learning about the first successful English settlement in America at Jamestown and seeing where aviation begain at Kittyhawk. 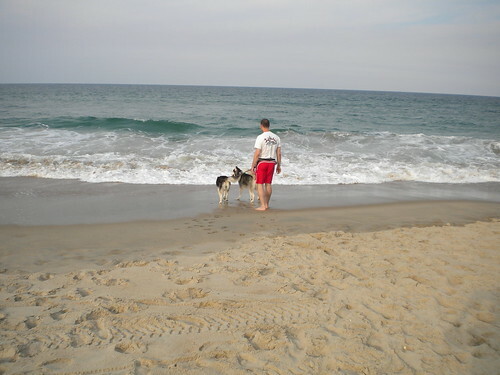 The Outer Banks were beautiful and we hope to go back next summer! At the end of July, David and Valerie went to Chicago for several days. Valerie spent two solid days interviewing for a law firm job for next summer. 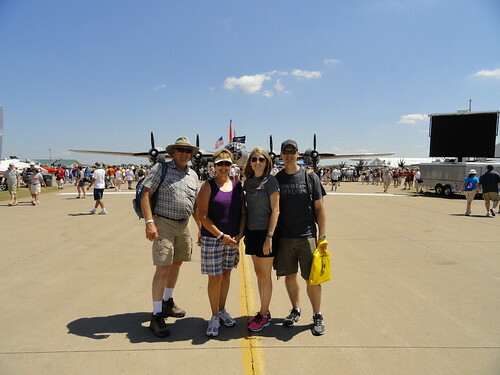 After the interviews, we went to Oshkosh, WI, to spend a day at EAA's Airventure and met up with Valerie's mom and dad. 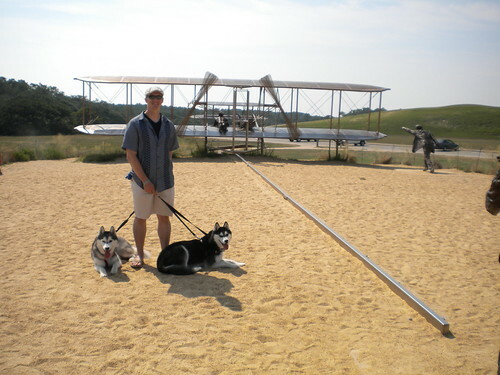 David had never been to Airventure and really enjoyed seeing so many airplanes in one place. While in Chicago, we went to see Beauty and the Beast and ate at the top of the Hancock Building to celebrate Valerie's birthday. Valerie spent August and September traveling for job interviews. She made 2 trips to Kansas City, 3 trips to Dallas, 1 trip to Austin, and 2 trips to Chicago. At the end of September, she accepted a job for next summer. She will be splitting her summer between Austin and Dallas, working at a law firm in their patent law department. She and David were both very relieved to have the decision made and Valerie was happy to be able to focus on school again. 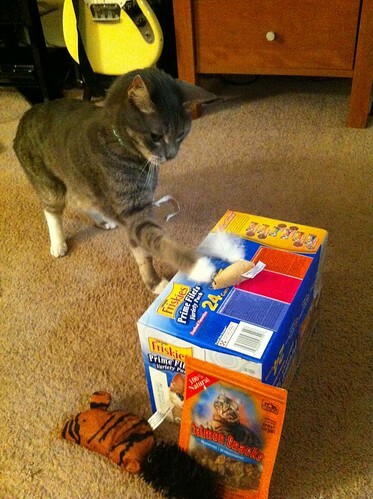 In October, Steve and Kat turned 5! 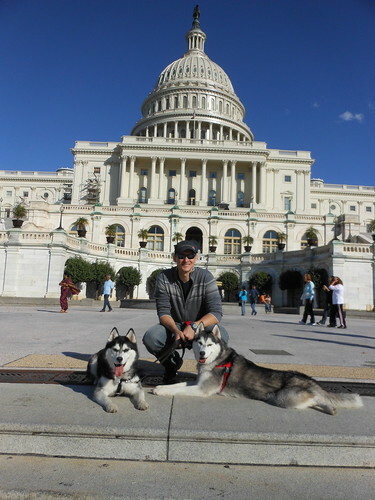 To celebrate the big day, we went spent a day in Washington, DC, walking over 9 miles and seeing all the big landmarks. 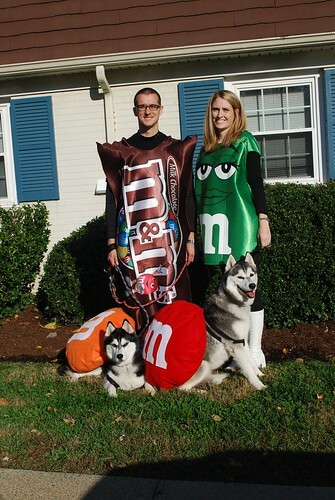 For Halloween, we dressed up as M&Ms and tried to win the Charlottesville Dog Costume Contest. We didn't win, but still thought we looked pretty good! 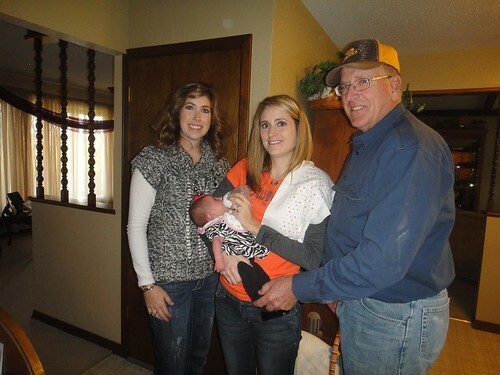 In November, Valerie and David became an aunt and uncle when Valerie's sister had a baby. Valerie made a surprise trip back to Missouri to meet her niece. 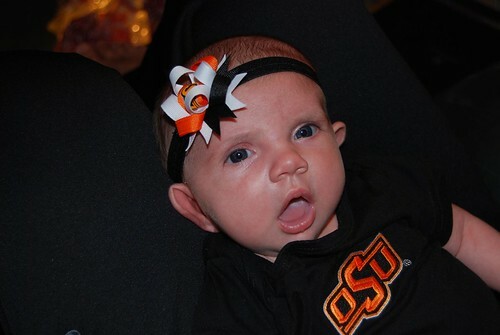 She has also been making sure the new family member has the best collegiate allegiances. We celebrated Thanksgiving in Texas. Steve and Kat added five new states to the list of US states they have visited in the big road trip to and from Texas. 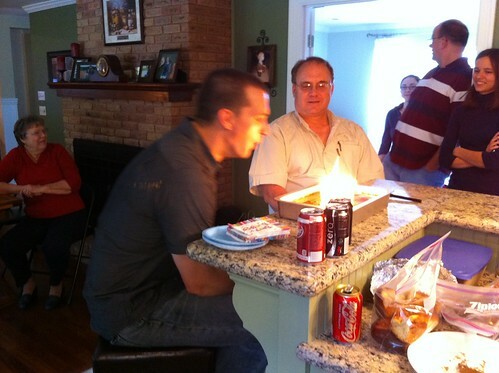 David celebrated his birthday in Texas by almost lighting the house on fire. Check out that flame! David also spent the fall attending the Citizen's Academy at his local sheriff's office. He found the program very interesting and enjoyed learning more about all the things law enforcement does in the community and how the officers are trained. David continues to work for Lockheed Martin, making sure the F-35 can fly as designed. We hope you all have a wonderful holiday and Steve and Kat wish for a white Christmas for everyone!